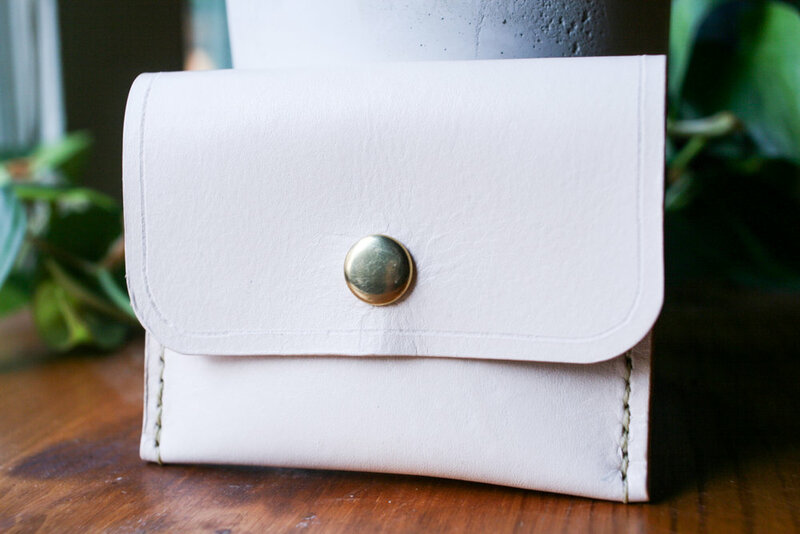 Join Lydia Rhyne of Brass Button Events and Klum House for a quick and fun, veg-tanned leather wallet workshop. Choose from one of two designs in class. 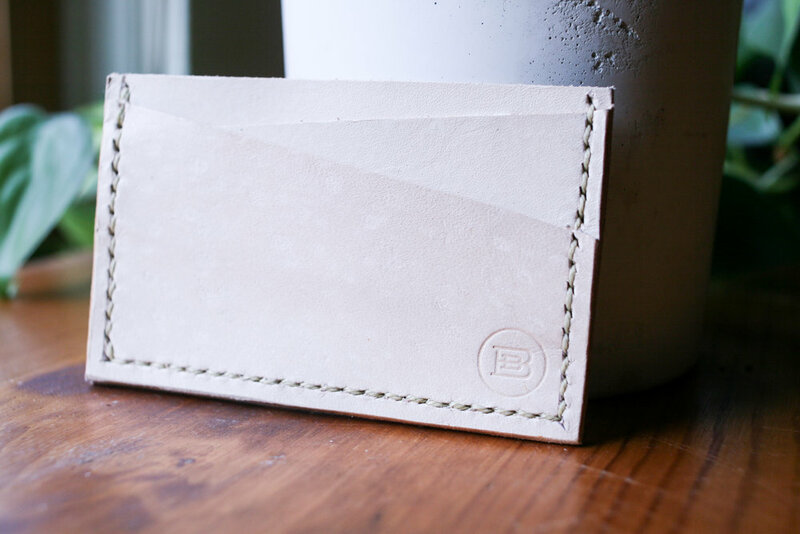 You'll learn how to punch, stamp, protect and stitch your own custom wallet. You'll learn tips and tricks on how to choose the best leather for your project, set snaps with the industrial snap press, and saddle stitch all the pieces together. While working alongside others, we’ll share an afternoon of creativity, and you’ll take home a beautiful wallet made with your own hands. 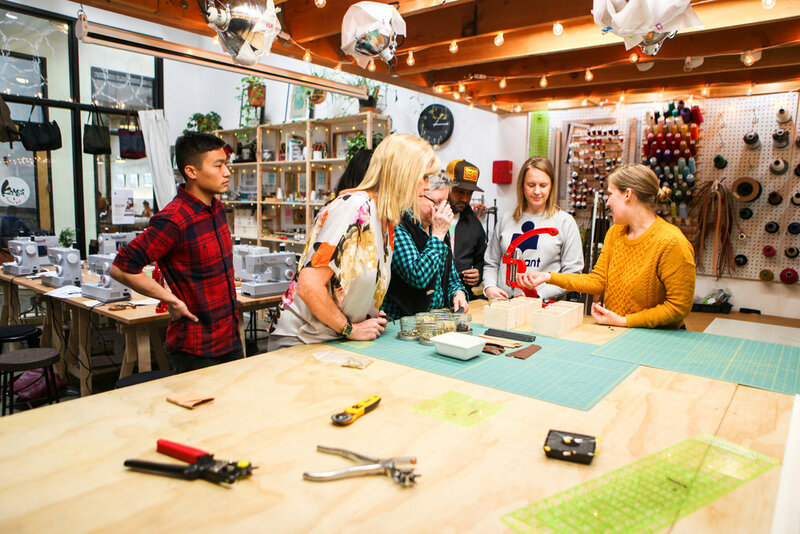 Spend time with us in the fun, relaxed DIY class. We'll eat snacks, make rad things with our hands and hang out. Leave with new knowledge of leather working & "I made this!" bragging rights.